First published in 1992, this volume identifies the problems facing the designer of multi-environmental knowledge-based systems, and explains the principles that must be followed in order to obtain successful results. Systems called upon to function in a variety of widely differing cultural and natural environments can only do so satisfactorily if from the very beginning they have been designed with this versatility in mind. For the first time, the know-how for this often formidable design task has been gathered together and presented here. This study was written to an overall plan, with chapters commissioned from a group of research of quite diversified back-grounds who had deeply explored their subjects. Each topic was thus covered in close connection with the others, so as to form a coherent whole. While primarily aimed at workers in Artificial Intelligence and Expert Systems, as well as designers of other kinds of sophisticated software, the contents of the book are of wider validity, just as the multi-environmental demands are of wider incidence. Manufactures, exporters and importers of computing technology with a large knowledge component will also find their concerns addressed. 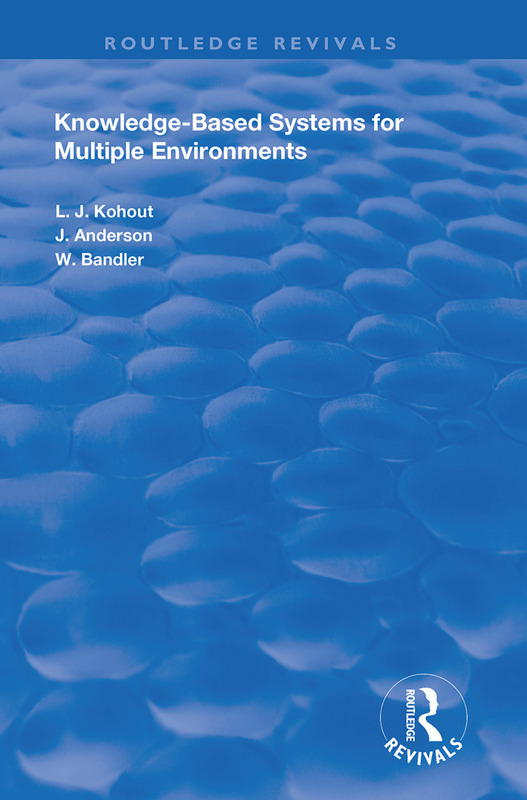 What is a Multiple Environment and how does it Affect the Function of a Knowledge-Based System? Knowledge as a Confidential Marketable Commodity: Cultural Danger or Economic Blessing?